In compiling this list, I tried to choose places that were (relatively) budget friendly, that covered the span of the U.S., that had something that appealed to the whole family, regardless of age, and that offered a different experience according to your preference (city vs. beach vs. active/outdoors). Also, I enlisted the help of a friend, former law school classmate, blogger extraordinaire, and super mom, Jennifer from The Champagne Supernova Blog. She actually has kids – two of them! So without further adieu, allow us to save you from yet another Disney trip. Ah, our nation’s capitol! Do you know why this takes the number one spot? Because, once you get there (and getting there is not too expensive on JetBlue), almost all of your activities are free!! That’s right, free! Our nation’s monuments? Free! Museums? Free! In fact, there are over 200 museums in D.C. and almost all of them are free! So, whether your children like art, science, animals, or history, there is a museum that suits their (and your) interests. Another great thing about D.C. is that most of the sites are within walking distance of each other, making it an easy city within which to ambulate. Otherwise, the hop on hop off tours are a great value (also, check Groupon, as they are usually running a special on these tours), allowing you to tour the entire city and Arlington National Cemetery for one or two days while learning about the places you are visiting en-route. This also gives you the flexibility to ride around and see a lot without necessarily having to get off at every stop, and it’s fun to sit on top of the open air bus! Uber is another great option for getting around town. 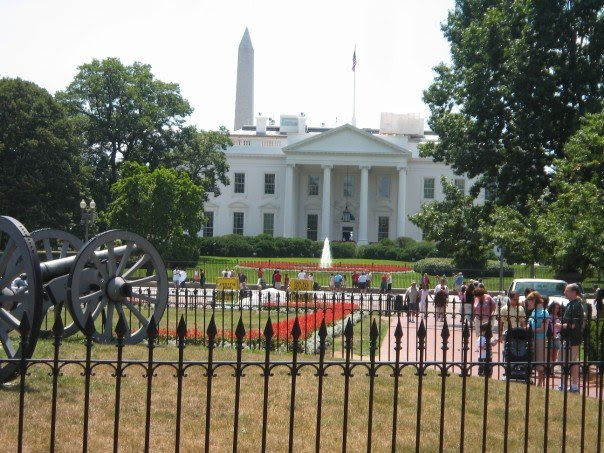 The only thing that will require advance planning on your part is a tour inside the White House, and all the information you need to plan such a tour can be found here. Advance planning is also needed to tour the U.S. Capitol building, and all the information needed for that can be found here. 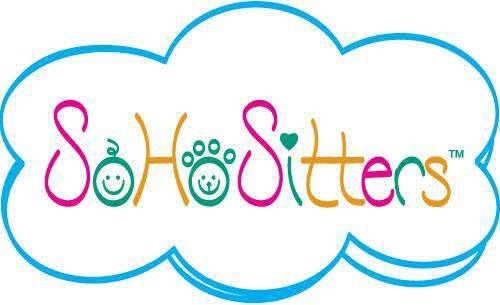 Finally, you can turn your trip to D.C. into a fun learning experience for your children without them even knowing it! Just take a look at your child’s syllabus for their history or social studies class (or ask their teachers what they are/going to be learning about), and tailor your trip to something they are learning about in school. All these reasons make D.C. a great and affordable choice for families with children of all ages. Beat that, Mr. Mouse! Here is my suggested itinerary for a perfect three-day weekend: Plan to fly/drive in on Thursday late afternoon or evening. 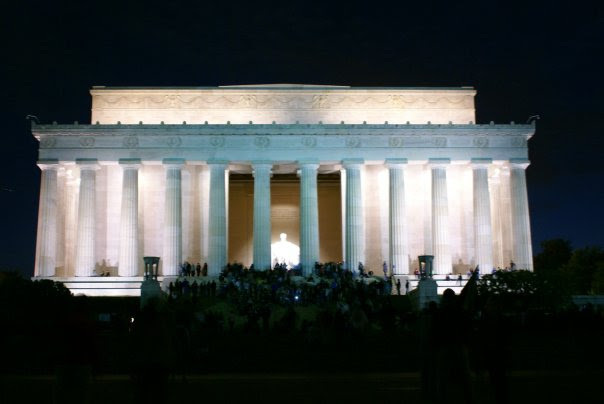 After checking into your hotel and grabbing a bite to eat, take a night tour of the monuments to see them lit up or enjoy a free music concert at the Kennedy Center! Day 1 (Friday): Wake up early and get a good breakfast in you; you’re going to need it! Hopefully, you got tickets to tour the White House, so do that first. If not, you should still swing by and get a gander at it from the outside. 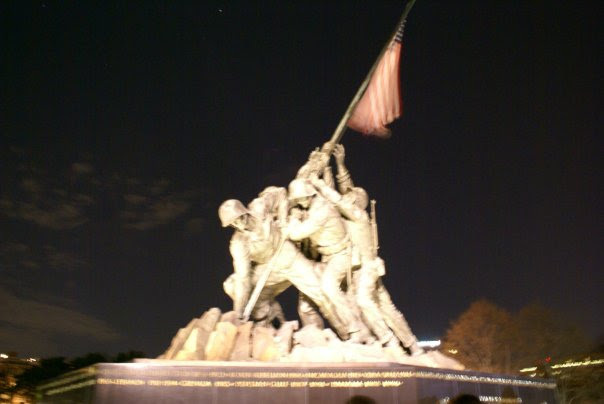 After the White House, walk over to the National Mall (see photo above), which has all the major memorials. Start at the Washington Monument (you can pre-buy tickets to go up!). 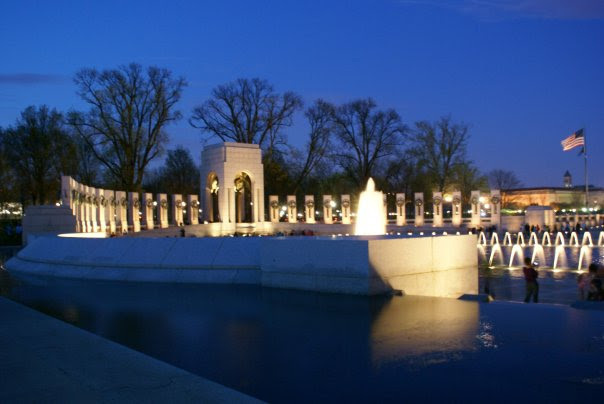 A short distance away is the World War II Memorial. 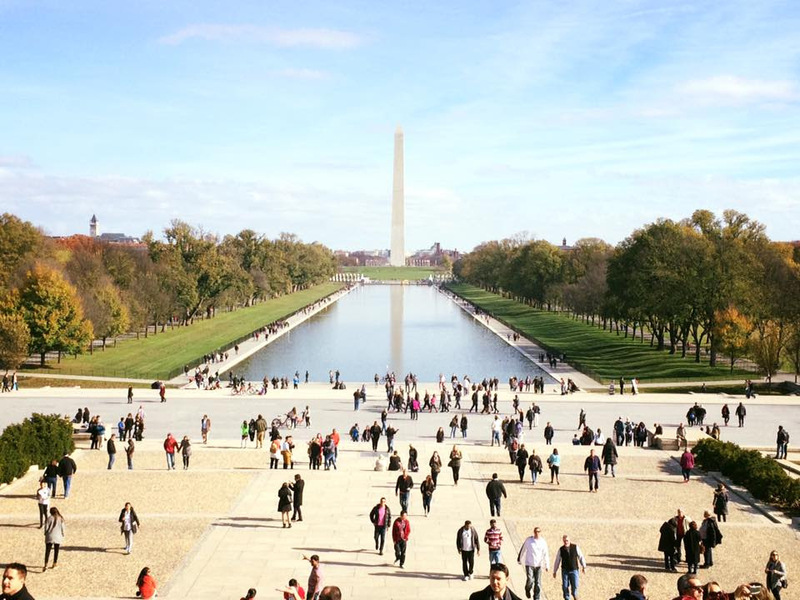 From there, walk through the promenade (bonus if you are there during cherry blossom season) beside the reflecting pool until you reach the Lincoln Memorial. After the Lincoln Memorial, head over to the Vietnam Veterans Memorial. Once you are done here, rent a paddle boat and get a view of the Jefferson Memorial and the Martin Luther King Memorial from either side of the tidal basin. Stop for lunch. 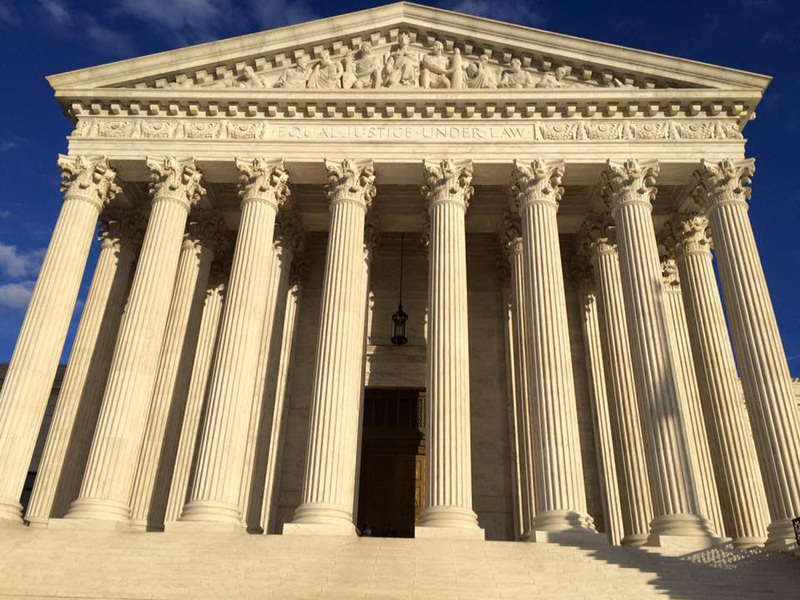 After lunch, hit the Capitol Building, the Supreme Court, and the Library of Congress. Days 2 and 3 (Saturday and Sunday): Make your last 2 days museum days. You can visit dinosaurs and mammals at the National Museum of History, airplanes at the National Air and Space Museum, the U.S.’s only Leonardo Da Vinci painting at the National Gallery of Art, the Constitution and the Declaration of Independence at the National Archives, or all the cute animals at the National Zoo. 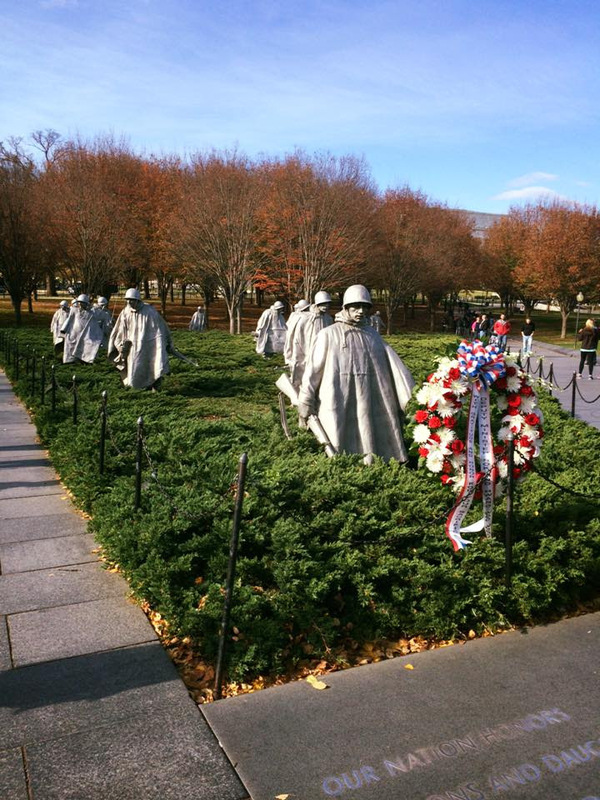 If you are looking to take a short half day-trip from the city, consider visiting Arlington National Cemetery where you can see the Kennedy Memorials, Changing of the Guard Ceremony at the Tomb of the Unknowns, and Arlington House. 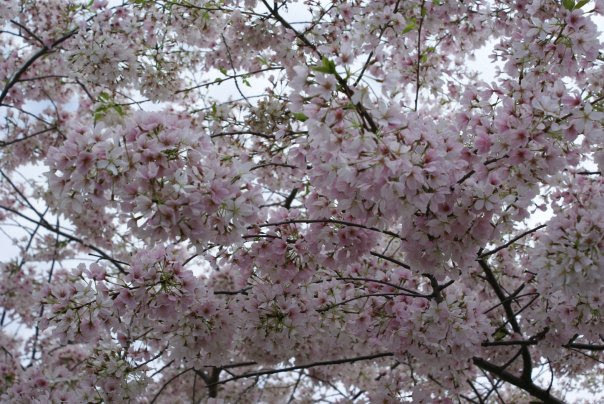 You may also consider taking a day trip to George Washington’s Mount Vernon. 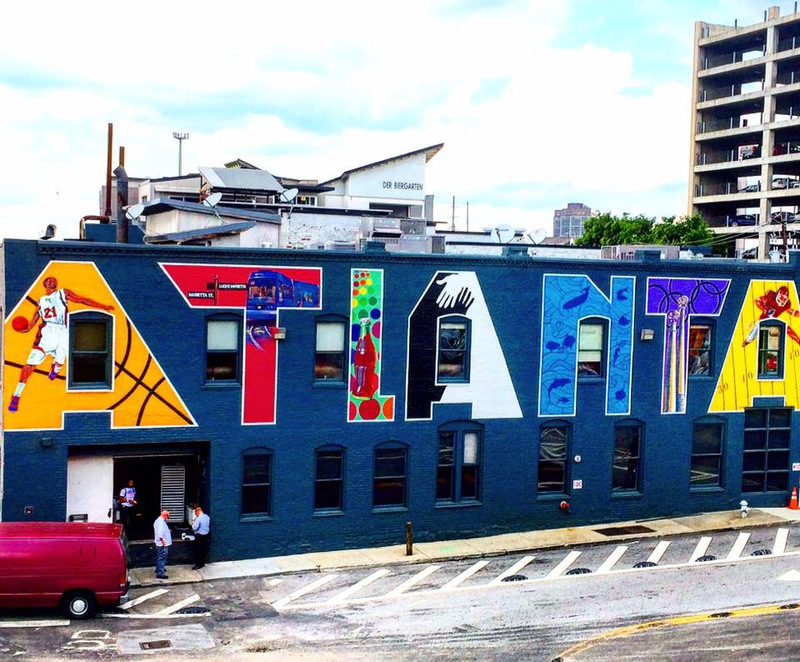 You may be wondering why Atlanta is on the list (and at the number 2 spot). Well, first, it’s pretty cheap to get to (Delta has a lot of reasonably priced flights), and there are actually a lot of family-friendly things to do here. Both the children and the adults can enjoy a fun-filled long weekend in this city. Here is my suggested itinerary for a perfect three-day weekend: Plan to fly/drive in on Thursday late afternoon or evening, and check into your hotel. 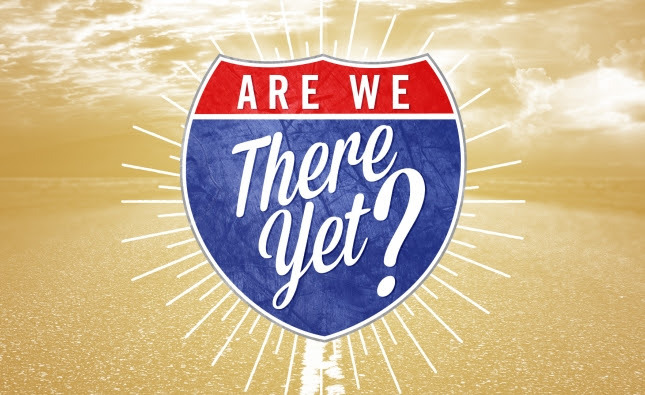 Depending on when you get in (and their event calendar), you may want to pre-plan to attend a show at Atlanta’s Fox Theater or head to Stone Mountain to catch the fireworks and laser show. Day 1 (Friday): Wake up early and get a good breakfast in you, because you are headed to Georgia Aquarium! This place is amazing. It has huge floor to ceiling aquariums full of color and life and plenty of immerse experiences to choose from. 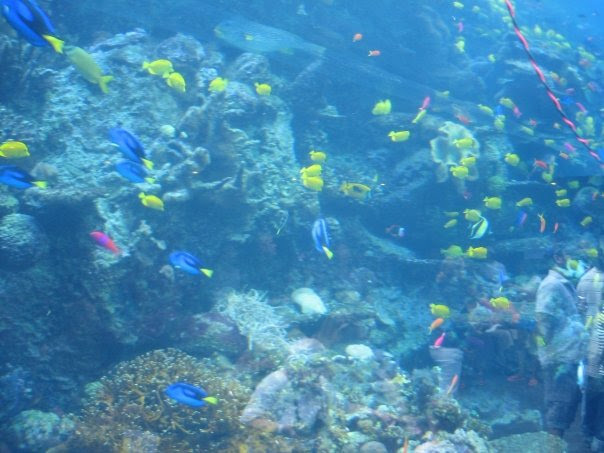 For example, you can take the Behind the Seas Tour for $15 and get a closer view of the aquarium’s most popular exhibits. 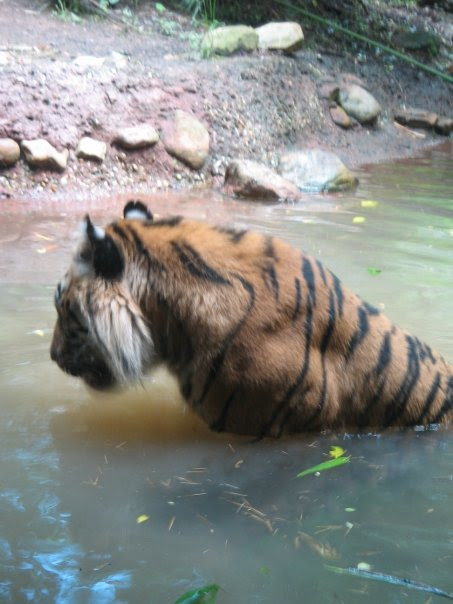 You can also choose from different animal encounters, including a dolphin encounter, Beluga Whale encounter, penguin encounter, sea otter encounter, and even swimming with whales, sharks, and manta rays. The aquarium also has a tactile exhibit where you can reach in and touch sea urchin and other sea critters. And, if you want to be a Super-Parent, you can arrange a sleepover at the aquarium! That’s right, a sleepover. Does the Mouse let you sleep at his house? I don’t think so! (Okay, this is technically not true. You can be randomly selected to win a sleepover inside Cinderella’s castle. You probably have about an equal chance of getting struck by lightning or winning the lottery, so there’s that). 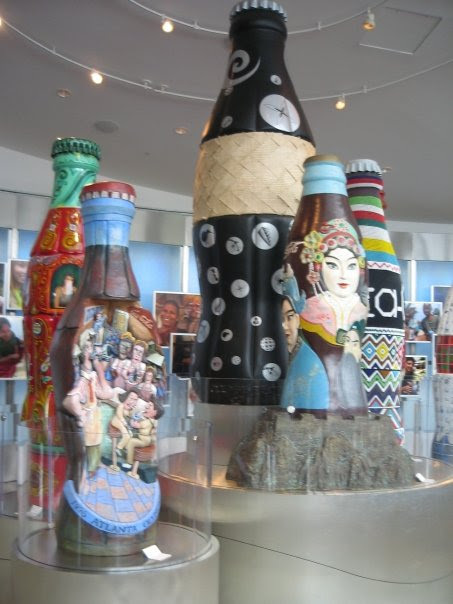 After the aquarium, take a walk over to the World of Coca-Cola. 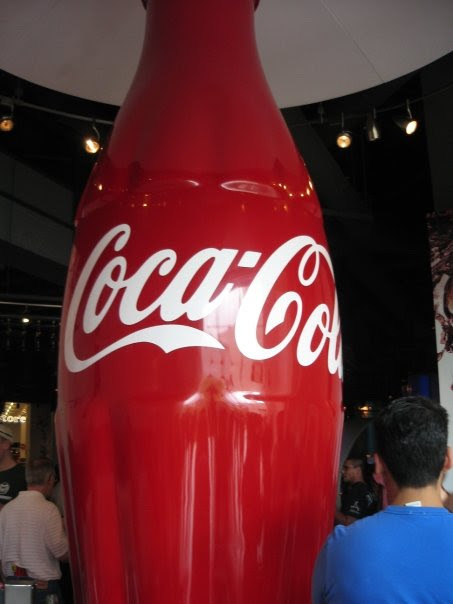 Here, you can learn about the history of the Coca-Cola, visit the vault where the secret formula for Coke is stored, meet the Coca-Cola Polar Bear, and, best of all, visit the tasting room and taste as many of the 100+ Coke beverages made and sold around the world. 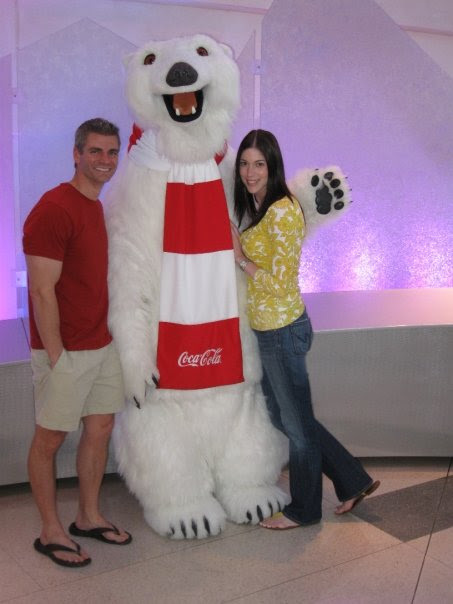 Don’t forget to pick up your free bottle of coke on your way out! Other family-friendly attractions that add a little history and education include the Fernbank Museum of Natural History, Atlanta Botanical Gardens, Martin Luther King National Historic Site, Underground Atlanta, High Museum of Art, Atlanta Cyclorama and Civil War Museum, and Margaret Mitchell House and Museum. 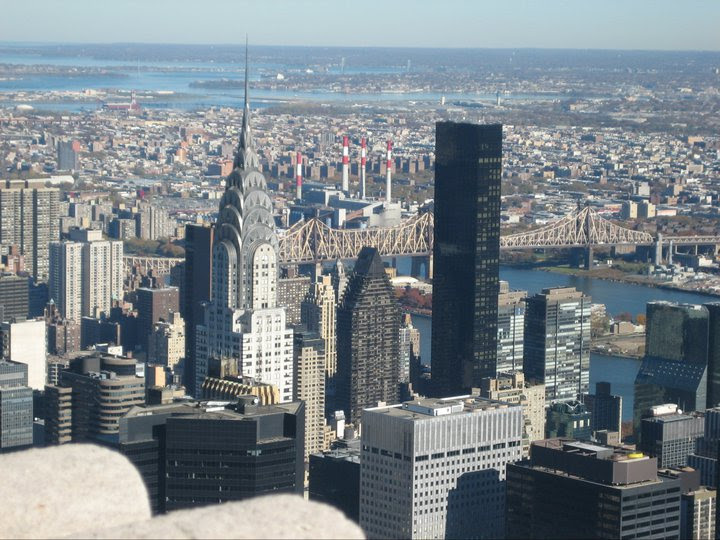 Everyone loves the Big Apple, and you and your family cannot run out of things to do here! My family and I have been to countless hotels in manhattan and there was never a dull moment! Both JetBlue and Delta offer reasonable flights into New York (you can also combine a visit to D.C. with a visit to N.Y., and take the train). In my opinion, the best time to visit New York is during the holidays when the city is all dressed up! Here is my suggested itinerary for a perfect three-day weekend: Plan to fly/drive in on Thursday late afternoon or evening, and check into your hotel; then, head straight to Times Square. It is cheesy and touristy, but it is iconic, and your kids have not lived a full life without at least experiencing it once. 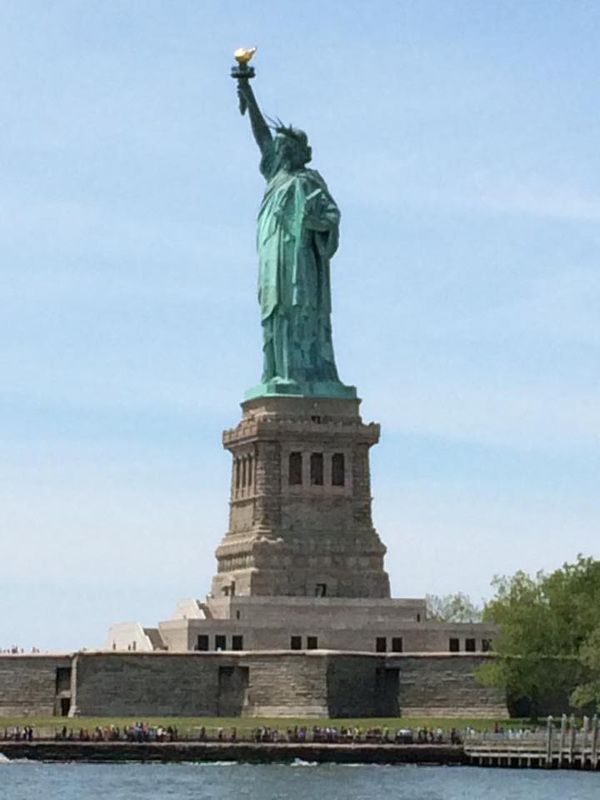 Day 1 (Friday): Wake up early because today you pre-arranged to visit the Statue of Liberty and perhaps even to climb to the crown. Note, this particular activity will take some advanced planning on your part (especially if you want to go up to the crown), so book tickets early! 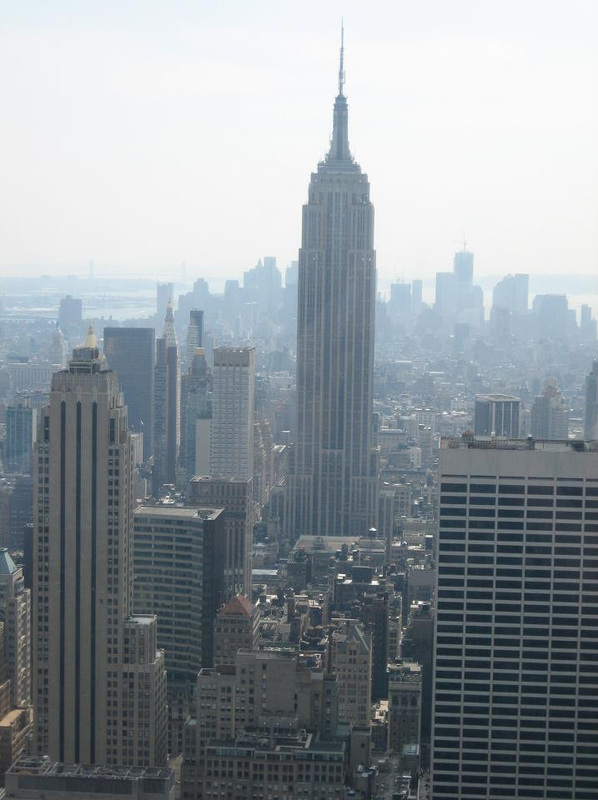 When you are done here, head to the 9/11 Memorial, the Empire State Building, and/or Top of the Rock. 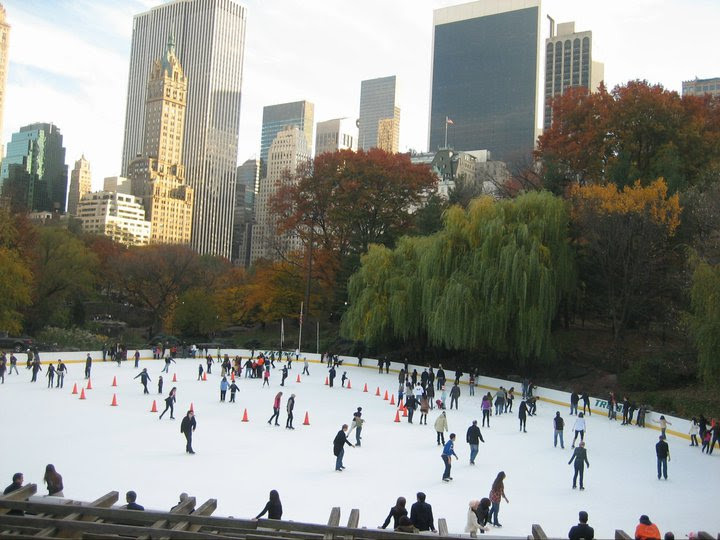 Day 2 (Saturday): Visit Central Park, have lunch, and go ice-skating! 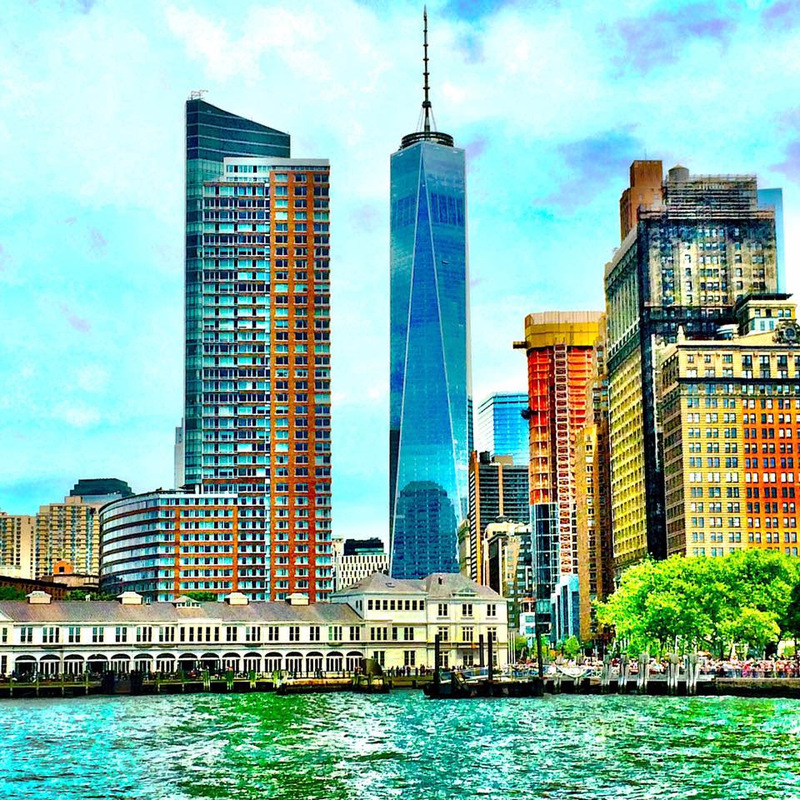 Afterward, head to one of the city’s many museums like The Museum of Natural History, The Metropolitan Museum of Art, The Guggenheim, the Whitney Museum of American Art, or the MoMA (Museum of Modern Art). Here is a list of museums that cater just to children’s interests. You can find free museums or information on special free hours at other museums or museums that have suggested contributions here. Day 3 (Sunday): Save your Sunday for a Broadway matinee. Your New York trip is a great way to introduce your children to art, including performance art. There are several Broadway shows that are suitable for children, like Lion King, Aladdin, and Matilda. 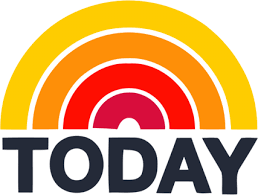 A list of kid-friendly shows can be found here. Make sure to pre-book your tickets as the shows sell out fast. If you want to chance it, you have a couple of options short of buying tickets on a third-party site. 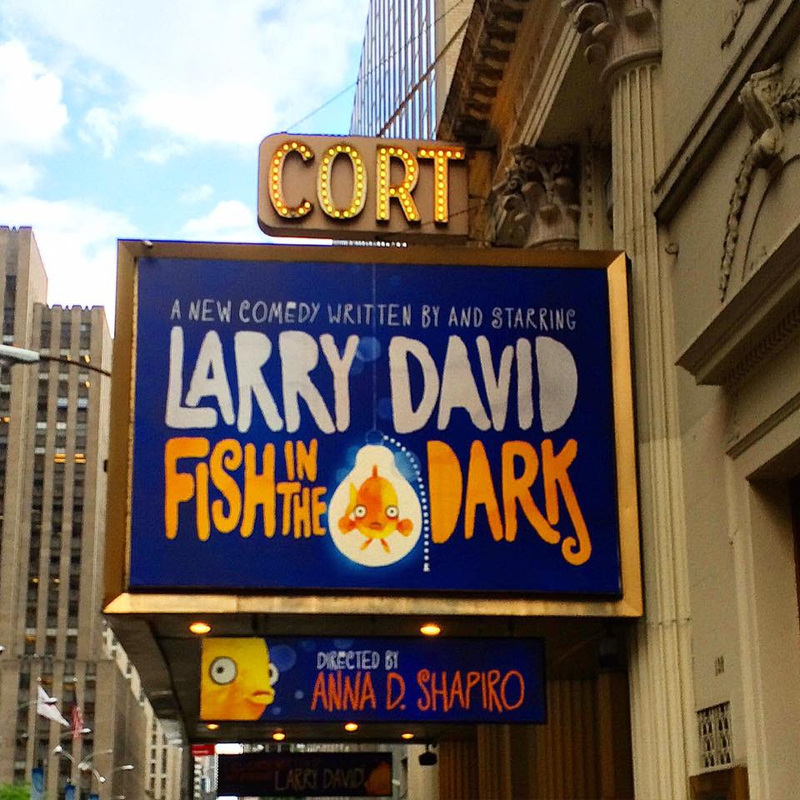 The first is to rush to the theater as soon as it opens on the day of the performance and wait in line to buy same-day rush tickets which can sometimes sell for as little as $25. Some shows sell standing room tickets, which means you will stand to watch the show. Others, like the Lion King, distribute day-of-show tickets through a lottery. The other option is to wait in line on the day of the show at the TKTS Booth, which is located under the red steps in Duffy Square (47th Street and Broadway). Almost all of the Broadway hits are on sale there, mostly at 50 percent off. There are also some online options, like the TodayTix app or nytix.com. Get your discount codes at BroadwayBox, Broadway Insider, and Entertainment-Link. 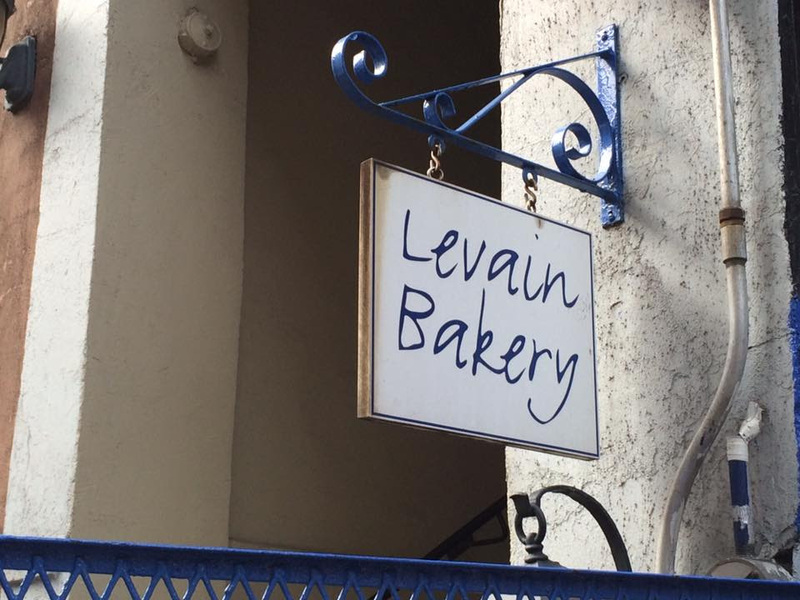 Before you leave, make it a priority to stop at the Levain Bakery and wait in line for the cookies. They are soooo worth it! The U.S. National Park Service is celebrating its 100th year anniversary this year. 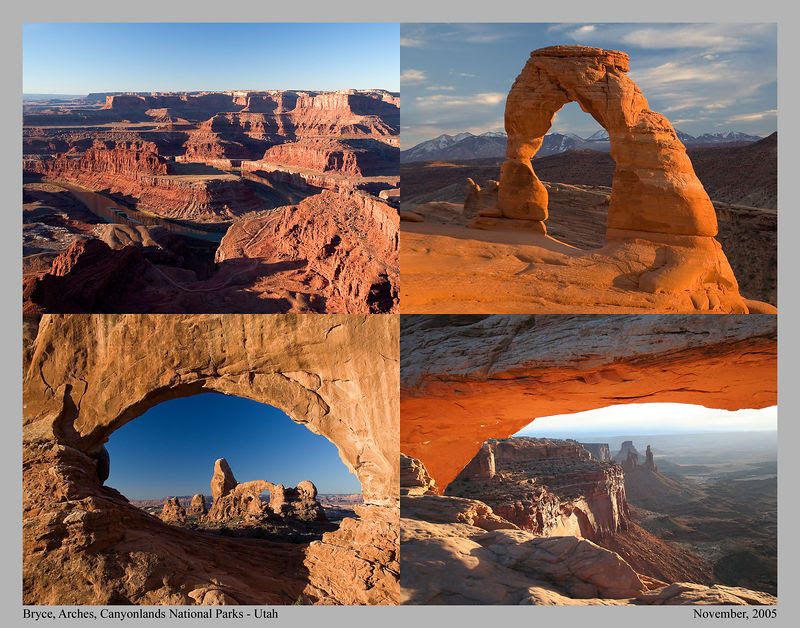 If your family is active and looking for a great (outdoor) adventure, then why not visit Utah’s National Parks? 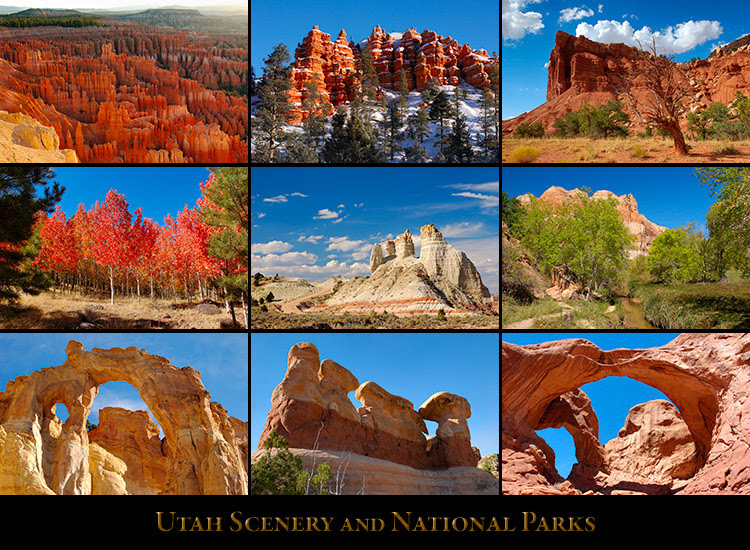 Did you know i) that there 5 national parks in Utah (from east to west: Arches, Canyonlands, Capitol Reef, Bryce Canyon, and Zion), ii) that all the national parks are a stone’s throw away from each other, and iii) that they are located just a few hours outside of Salt Lake City? Did you realise though that there are 59 national parks in the USA? Looks like all your holidays are now sorted for the rest of your life. All the info you need to plan an epic national park journey can be found here. This is actually on our bucket list, as a result, all Utah photos used are borrowed from the internet. 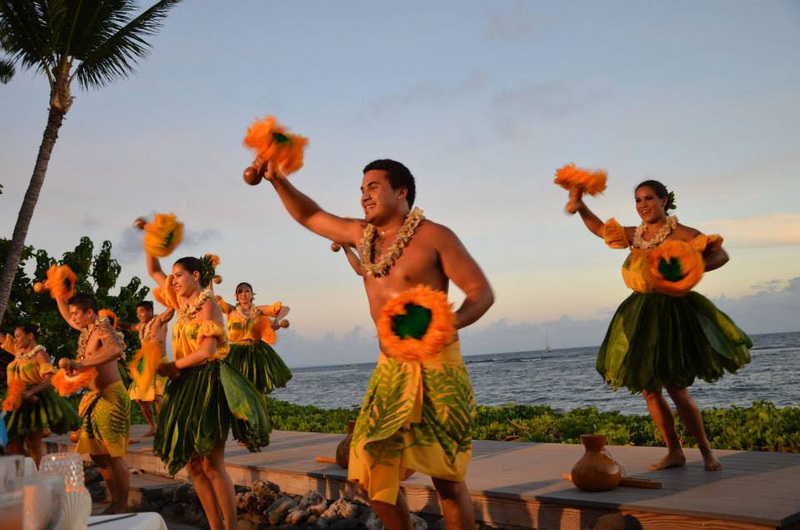 Okay, so Hawaii isn’t a city; it’s a state, and you may be surprised to see Hawaii on my list, but here it is! 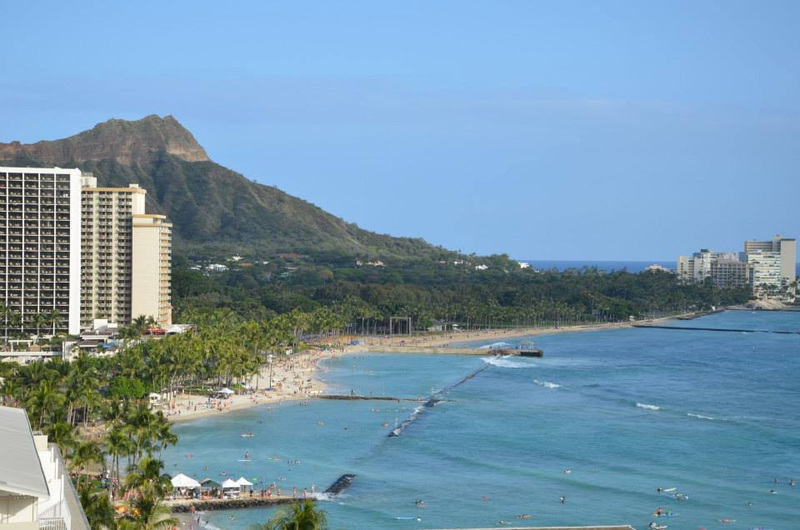 Hawaii has gotten cheaper to get to, although it is still an expensive place to visit. But, if your family craves some amazing beach time coupled with a little history and nature, then this is the place to go. I think that a week here is enough time to visit Oahu, Maui, and the Big Island. Start on Oahu because most flights come into Oahu anyway. I think 2 to 3 days in Oahu is plenty. 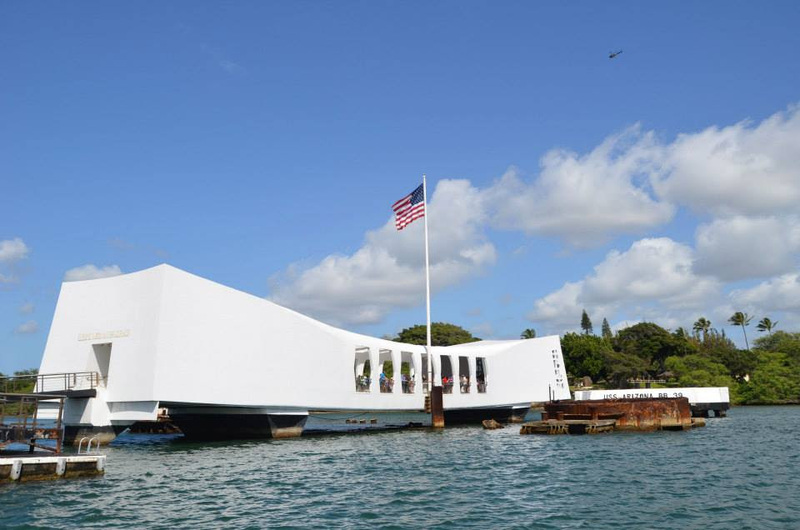 That will give you enough time to visit Pearl Harbor and the battleships on one day, and hit the beach and perhaps hike diamond head on the others. 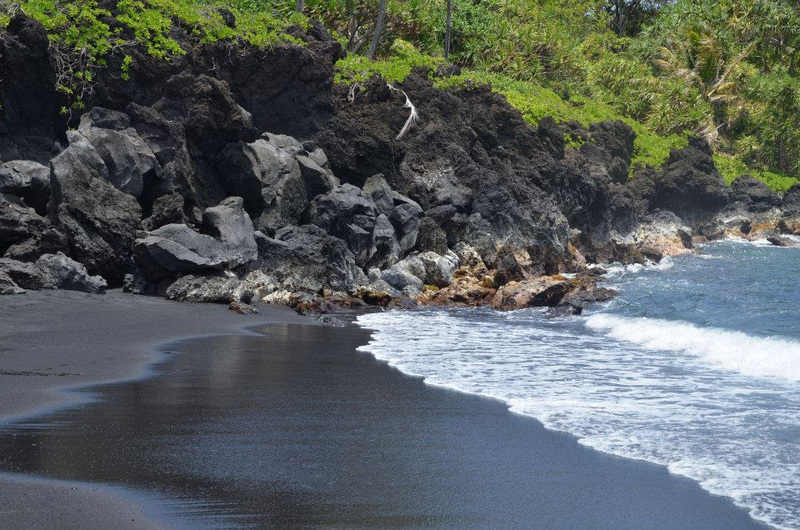 The flights between the islands are pretty cheap, so hop a flight to Maui, where you will spend the rest of your time. Check out FlightFactory for cheap flight deals before you book anything! 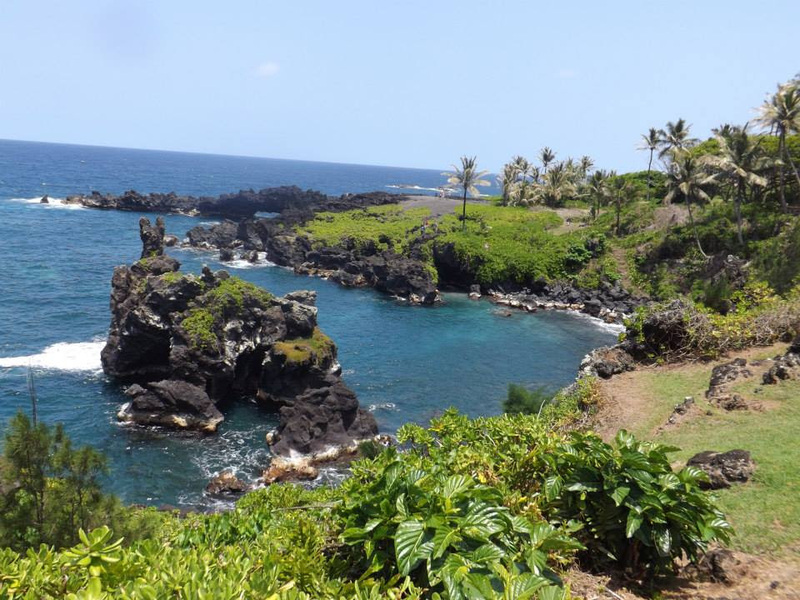 Aside from beautiful beaches and great snorkeling, in Maui, you can attend a luau, take a drive through the scenic Hana Highway (but, trust me, do this on a tour and not on your own), get a sunrise experience at Haleakala, and take a day trip to the Big Island to visit Volcanoes National Park! I hope this post has inspired you to break out of your family vacation rut, and seek out a new adventure that the whole family can enjoy. Let us know what you think of our suggestions, sample itineraries, and tips and whether you would be interested in a similar post featuring international vacations. Until then, cheers to making memories that’ll last a lifetime! 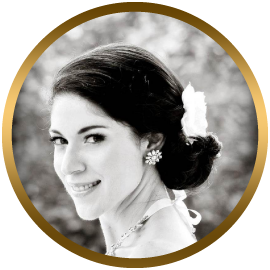 About Anastasia: Anastasia is a full-time civil defense litigator with a passion for wanderlusting. She spends her precious free time deciding where to go next, researching the entire trip from flights, to hotels, to tours/activities, and, of course, restaurants. 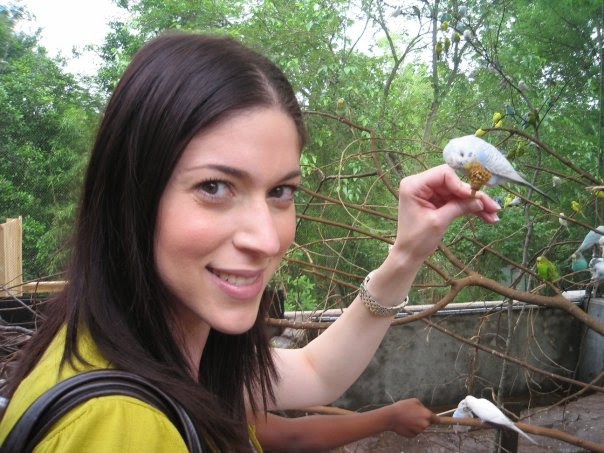 She drags her husband all over the world and then blogs about it on her blog, Where to Next Travel Blog. Her goal is to encourage you to travel more now because you can, even if you have a full-time demanding job, a family, and a budget. Jennifer – you’re killing me. I don’t have time to read a blog about some millennial without kids recommending D.C. to me. Are you serious? I want to know how I can survive in Europe without all my baby-gear. Is there a Babierge type company in London where I can rent a stroller that you can recommend? Come on – you have kids now. Kate- sorry you weren’t thrilled about this post, but I love offering a unique perspective to my readers, and Anastasia is my travel guru. kids or no kids, she’s always on point. That said, are you taking stroller age kids to Europe? I’m impressed. Skip the Babierge, hire a nanny (or enlist a grandparent) to stay in the states with them, and enjoy the adult-themed flight and travel bliss with your significant other. Cheers! The post is about the 5 best U.S. cities to travel to with kids. I focused on the U.S. because most parents I know don’t want to travel internationally with their children, especially little children, or are at least intimidated at the idea of doing so. I personally don’t understand why since I see plenty of children travelers all over the world, but, as you point out, I don’t have kids. That being said, kudos to you for giving it a shot. And, yes, there are plenty of baby equipment rental companies all over Europe, including in London. You can find a list of them here: http://www.travelswithbaby.com/baby-gear-rental-europe-france-spain-italy-more.html If you are interested in international destinations to travel to with children, let me know, and I’ll work on a post.